KAVIK RIVER CAMP, Alaska -- Alaska's North Slope was hit Sunday by the most powerful earthquake ever recorded in the region, the state's seismologist said. At 6:58 a.m. Sunday, the magnitude 6.4 earthquake struck an area 42 miles east of Kavik River Camp and 343 miles northeast of Fairbanks, the state's second-biggest city. The agency says the earthquake had a depth of about 6 miles. The magnitude 6.5 earthquake was felt by workers at the oil-production facilities in and around Prudhoe Bay, the News reported. The newspaper says that Alyeska Pipeline said the earthquake did not damage the trans-Alaska pipeline. The company says in a tweet that "there are no operational concerns" related to the earthquake, but the pipeline will be inspected. 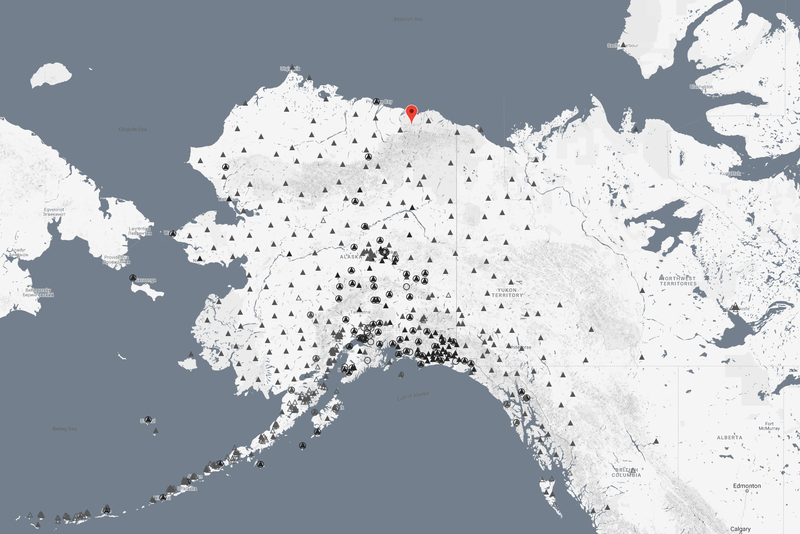 The Alaska Earthquake Center (AEC) says the earthquakes were felt across the eastern part of the state's North Slope Borough and as far south as metro Fairbanks. The center adds that there are no reports of damage. AEC tweeted an animated image of the seismic activity Sunday. The red star below indicates the epicenter. CBS affiliate KTVA-TV writes that a powerful undersea quake in January sent Alaskans fumbling for suitcases and racing to evacuation centers in the middle of the night after a cellphone alert warned a tsunami could hit communities along the state's southern coast and parts of British Columbia. The station said the magnitude 7.9 quake in the Gulf of Alaska triggered the alert.